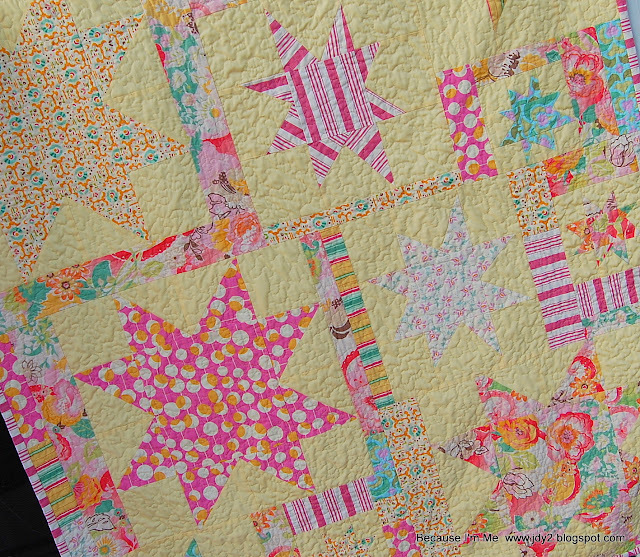 Started with an idea of many random wonky stars, no real pattern or sense. The quilt came together bit by bit, never a clear plan, just added a bit here and there ... whatever felt right at the time. And somehow that took a very long time. There was always a little more to add, a little more to cut away, a little bit to move around. The end result "is what it is". I'm not sure how I feel about this quilt. 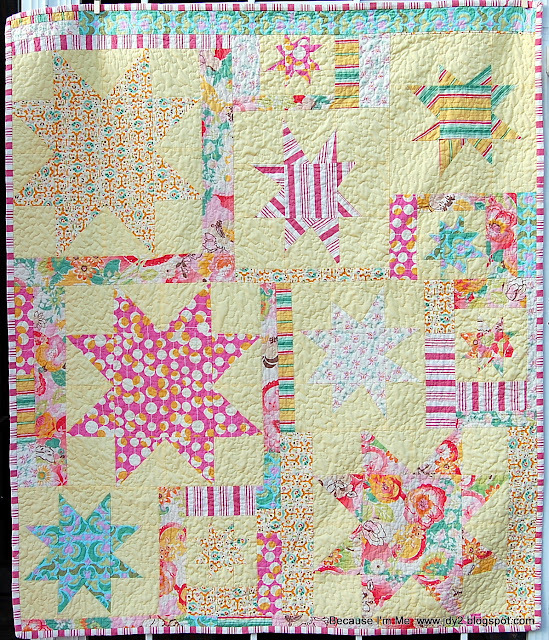 Were I to do it again I'd use a different color for the background solid and I'd quilt it differently - random stippling just doesn't make the statement this quilt deserves and I wish I'd gone with more of a blowing wind look. I so love the fabrics. Oh my goodness, the multicolored floral just makes me swoon. 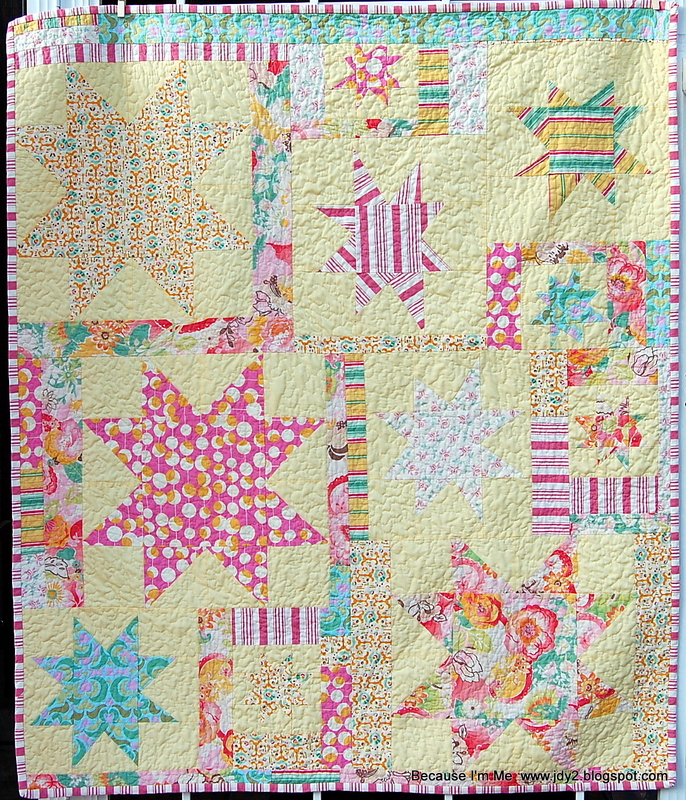 I have many more quilts in the works right now, and a head full of product ideas I can't wait to create and share. I'm excited to have been bitten by a creative bug (finally!) and have been keeping the sewing machine super busy ... next order of business may be finding out how to add more hours to the day - if I discover that I'll be sure to pass a tutorial along. I love it! From here, the background color looks perfect. I think it is wonderful. 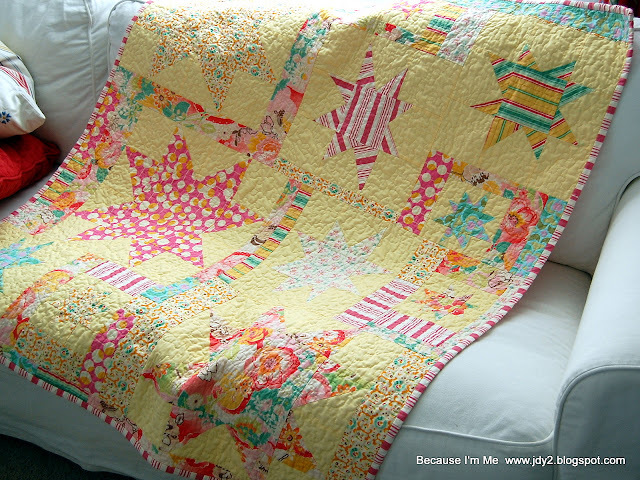 I love quilting without a plan! I love your quilt. 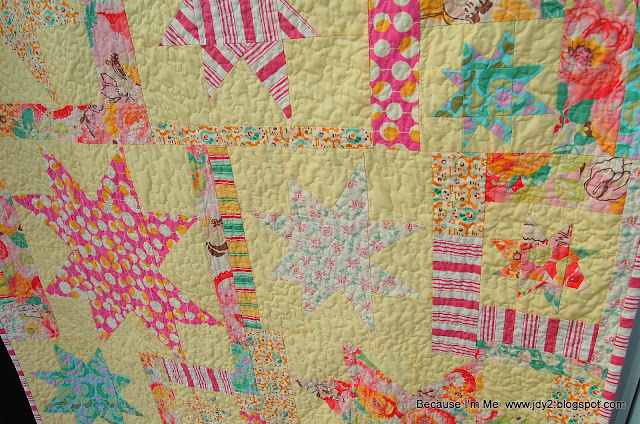 Wonky stars are one of my favorite to make. I like the randomness of your design and I don't mind the yellow! P.S. let me know when your tutorial for longer days is done!